I took this photo of one of the LTE demo netbooks in a Verizon store. It looks like they're actually providing IPv6 access to customers now. 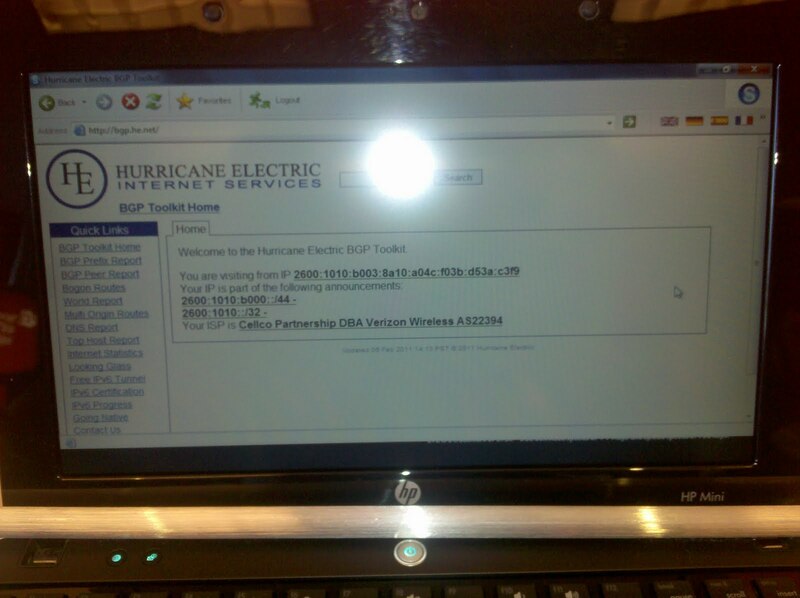 The IPv6 address of this machine was 2600:1010:b003:8a10:a04c:f03b:d53a:c3f9, connected through AS22394. It was locked down in some sort of kiosk mode, so I couldn't run any traceroutes or anything.